Do you think that web design software is reserved for professionals with years of schooling and practice? Today even the most novice of users can use web design software with little to no learning curve required. Where once businesses were limited by the lack of consumer-friendly products, today the market is full of tools that enable you to create amazing websites on your own. You may believe that websites can only be designed by professional software designers and coders. You may think that a website can only materialize through coding and software programs. But that is quite inaccurate. Web hosts and website builders now offer you a variety of web development software which empowers you to create & manage your website by yourself. Through user-friendly software and adequate online customer service, you are able to build a website from scratch. Utilizing software used to involve purchasing a disc and installing it on your computer. This may seem like an ancient concept, but it was barely a decade ago that this was the standard. But just as the model by which we install software changed, so too has the model through which we use it been turned around. Today software is downloaded either in app stores or directly from a company’s website. The software can be paid, ad-supported, or freemium. The services provided on a website can be thought of as software that you don’t have to download, but which functions similarly to the software of old. Web design software provided by services like Wix are fully integrated into their websites and function as well or better than software that once had to be installed on your computer. SIDENOTE: Website builders focus on offering user-friendly website building software so that anyone can engage in the process. Today you can design a fully functional and attractive website using web design software without the need for any prior knowledge of coding languages like HTML or CSS. This is made possible through proprietary software that uses a visual platform to allow users to make changes to a site’s content and media without having to see a single line of code. 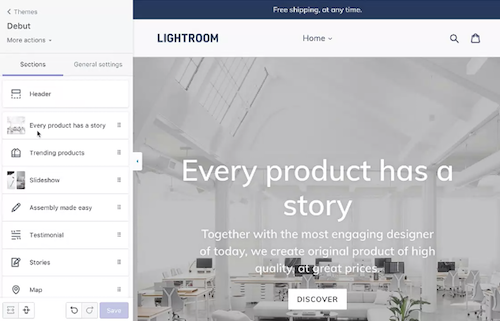 The most popular software uses a simple drag-and-drop system, where users simply find elements they want on a page and drag them into the position in which they would like them to be. The secret lies in the pre-programmed templates and themes upon which users can quickly build or simply edit with their own text and images. It’s so easy that an average user can create their own website within a few minutes. 4. You Might Wonder if Web Design Software Makes it Too Easy! The best website design software has a user experience that is both friendly and informative. Similar to having a private teacher, website builders provide you with a step-by-step process complete with instructions and examples. Some website builders are so smart that you can simply tell them what kind of site you want and provide them with content and they will do the rest. The results are often better than those obtained through hours of hard work. You don’t need much skill to build your own website. All functions and the use of different buttons are explained in detail. Customer service is always available to assist if you do hit a snag. In due time and with experience, you will improve the skills with which you can enhance your site. But even your first attempt will serve your purpose and look excellent because the developers took time to make sure aesthetics are taken care of. Your discovery of web design software will necessitate a lot of decision making. One of these decisions will be about the theme (or look) of your website. You’ll be amazed at the options you have and many companies have anywhere from hundreds to thousands of choices. Web development software functions on platforms that know how important the visual aspect of a website is. The best websites have great graphics and inviting colors and themes that speak to the appropriate audience. All of this is available when using web design software. This means you make virtually no sacrifice in opting to do it yourself. Your website can be as comprehensive and visually satisfying as when it’s done by a professional developer. The reason for this is because the design options on a website creator are made by professionals who understand the ins and outs of what makes a website tick. From site layout to button placement to everything in between, when you use a template you can be sure that it is the result of hours of planning and work, in addition to thousands of dollars of investment. Website designers are known for working at their own pace and according to their own schedule. Using a website builder, you can manage your site exactly as you want it according to your schedule without having to worry if your webmaster will be available or when he will complete his work. Today it’s all about being autonomous and creating exactly what you want. You are now in charge of the creation and maintenance of your website through website design software that is easy to use. You can bring about changes and improvements whenever you require them. You don’t have to wait for a website designer to schedule a meeting to discuss the necessary adjustments, and then wait until he or she has time to make the changes. There is also no chance of misunderstanding or struggling to convey to someone else what you envision in your mind. You can simply log in to the backend of your website and use the amazing tools they have to improve and change it. With all of the features and functionality of a website builder, you may begin thinking that it will turn out to be expensive. After all, all the knowledge of expensive software developers is poured into an application that takes advantage of hours of development. You may be surprised at how affordable it is, however, with basic web development packages even being offered free of charge. If your website requires more functionality, you can use add-ons and features and pay accordingly — a la carte. This ensures that you only pay for the set of functions you really use and none that you do not. You may think that running a business online by yourself is difficult. 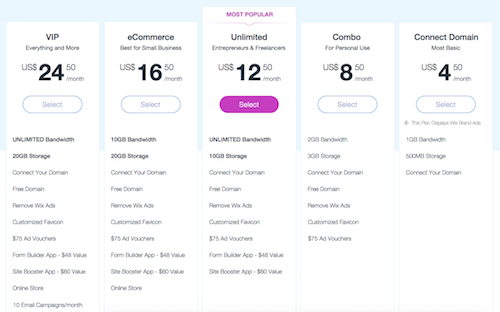 The good news is that with eCommerce website design software at the level of quality and diversity it’s currently offered, almost anything is possible. You don’t have to pay an additional service provider to run the website division of your company on your behalf. You can literally do it yourself. The best web design software allows you to implement functions on your site; even functions which are intricate in nature. Think of the coding necessary to make sure that online transactions for your business takes place quickly and securely. Even this is coded into easy to activate buttons which you can put on your site. Now you can control the online aspect of your business, instead of being dependent on other web designers who don’t have your passion and understanding of your specific company. Similar to a bricks-and-mortar store, an online business needs to be managed, have an inventory, process credit cards, and more. eCommerce website builders offer users all of the tools they need not only to transact business but to track it and improve it as well. This is achieved through robust software suites that have been developed and refined over the years through the help of actual users who provide insight to developers about the features that they value most. The best web design software doesn’t only give you a method of creating, but also a channel of feedback. It’s essential for your business to be able to integrate your website into your marketing campaigns. And for adjusting and improving marketing, you will need statistics. Web design software offers you tools to measure the impact your website and its different pages have on visitors. NOTE: This is done through analytics from which you get statistics and graphs. You can then see which campaigns and types of marketing activities worked best. Your website should also be noticed on search engines such as Google. These search engines have certain criteria that they look for in a website before it is allowed to be listed at the top of a search result list. You want your Search Engine Optimization (SEO) ranking to be favorable and website design software can help even with this. By showing you your current rating, you know whether it must be improved. With the many features written into web development software, you are given marketing tools that will help you rise above competitors. It’s as beneficial as having a marketing company as a business partner. The internet has become the way the world communicates, socializes, and even does business. Over the past few decades, technological developments have made it possible for even the least experienced individual to enjoy the benefits of the internet. You can harness these tools through web design software and bask in the capacity this platform adds to your business ventures, without the expense of web designers. Trust yourself and take on the challenge of designing your own website. It will open up a whole new world of business! Hi, is there a way to work offline on my website? I don’t really have access to a great connection at home. Could I update it offline, and then upload it when I have a good connection? Thanks! I’d recommend using the mobile app of Weebly. It works offline as well, and when you’re online the changes will appear on your site. This app won’t work on your laptop or desktop PC, only on your mobile phone. I don’t have internet access at home, but I take my laptop with me and try to look for an internet connection wherever I am. I do have a site host and a domain name, but it’s tough trying to understand code and typing everything in notepad. Do you know of any free web design software that I can use offline? I heard of a software named Mobirise. You can just work on your website offline and then upload it to the internet whenever you are connected. Thank you for writing this article. I do have a few questions, though. I’m worried about the ownership of my website since I won’t own any of the tools that the website software provides. Could I host the finished product on my own server? Or should it always be hosted by the service provider? If the service provider ceases to exist in the future, what will happen to my website? Could I still have my website and host it on my own server with another service provider? Hey, Stephen8. Every website builder has their own specific tools and their unique drag and drop software. So usually, websites need to stay in their hosting service to keep functioning. You’ll encounter similar issues concerning exporting websites in order to host them somewhere else. Some website builders will allow you to export certain features, and others won’t allow you to export at all. Certain functions could even stop working after you export them, so make sure you’re well informed in regards to your website maker. You could rebuild your website by using the drag and drop function if importing it is impossible.